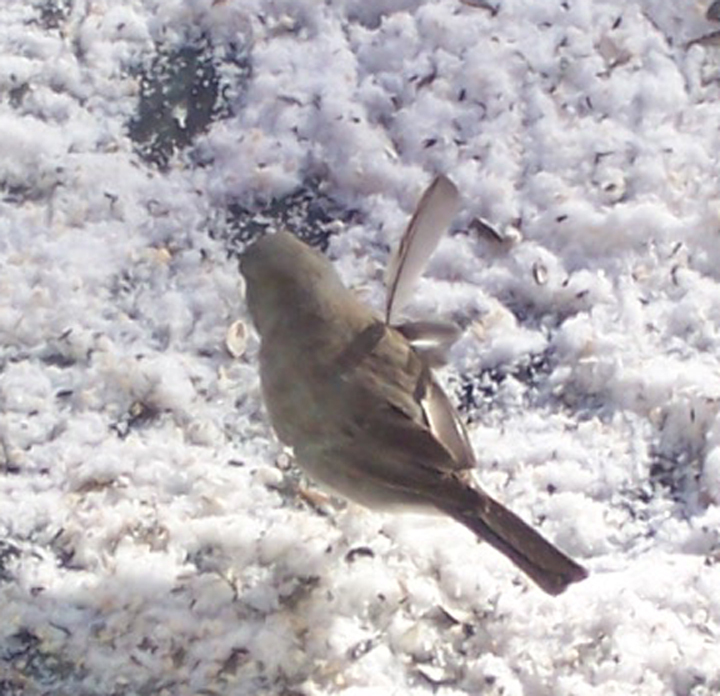 A junco who visits our deck to pick up seed that falls from the hanging feeders has a broken wing feather. It sticks out at on odd angle, as if stuck in a permanent salute. It doesn’t seem to interfere with his ability to fly; however, I can only imagine the havoc it must play when he tries to hop among close branches. >Hi Glenda,Just checked your blog, read about the bird and then my eye caught your “Chameleon Woman” poem on the side. Beautiful!!! Read it several times.